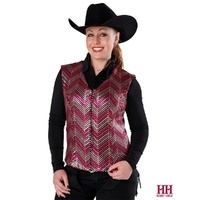 Make a strong statement in the edgy Harlee show vest! 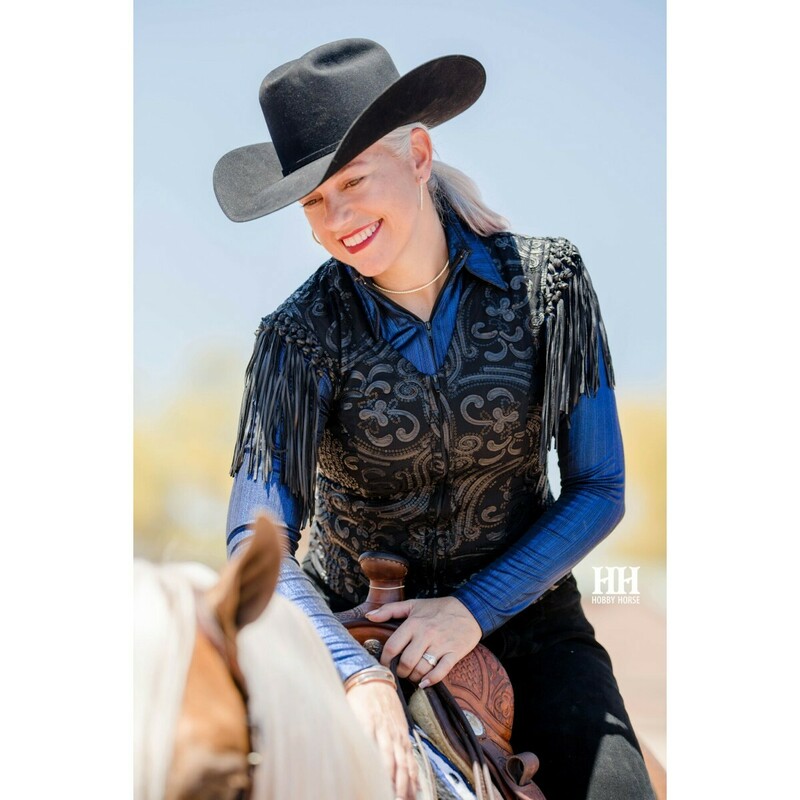 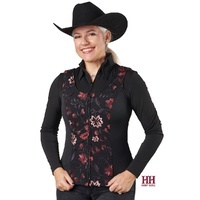 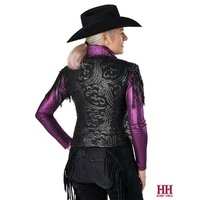 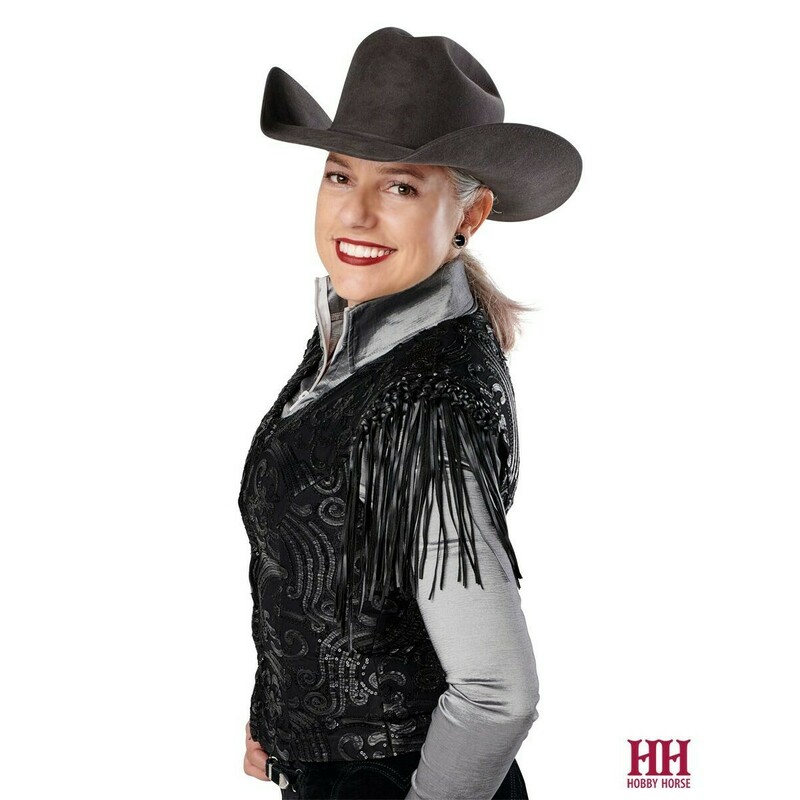 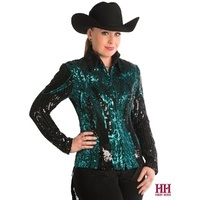 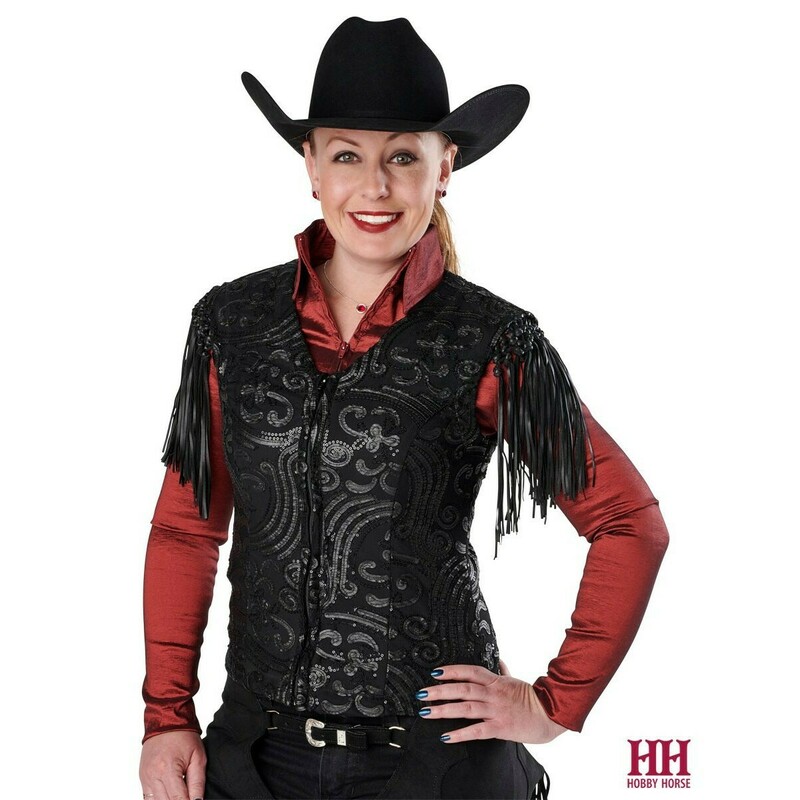 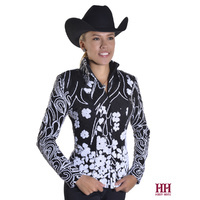 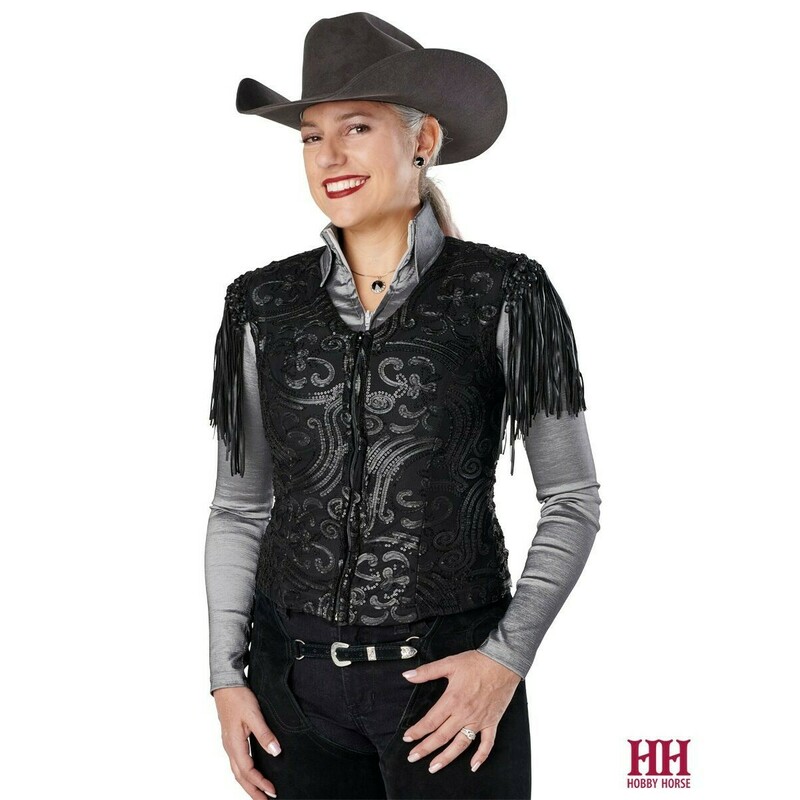 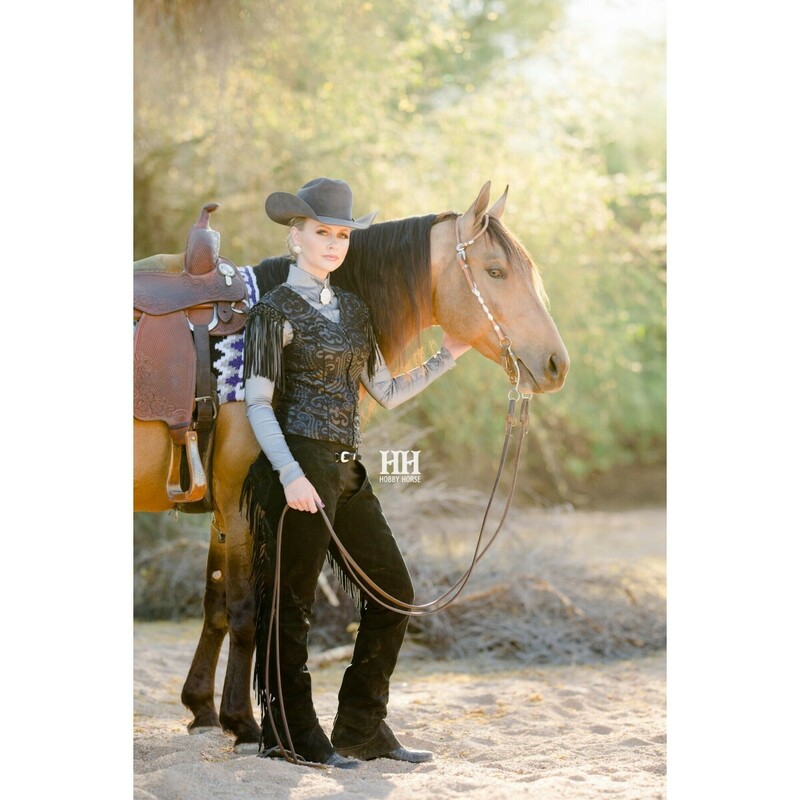 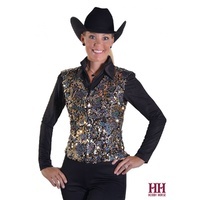 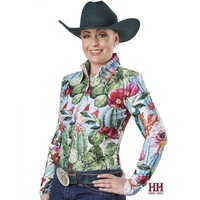 Black stretch bodice is covered with applique' smooth faux leather swirls and sequins that shimmer as you ride; coordinating black fringed and knotted epaulettes add dimensional interest and drama to your shoulder area. Not for the timid, Harlee is hot! 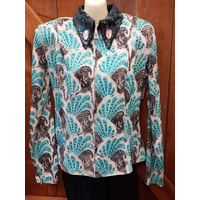 Poly/spandex, hand wash.